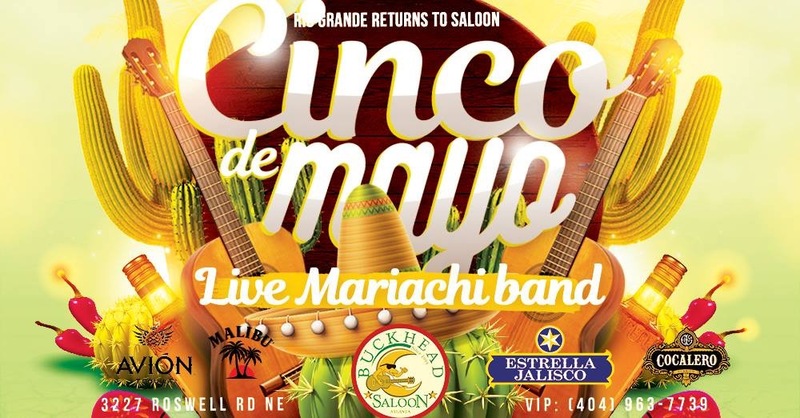 Do you remember the BIGGEST Cinco Party in Atlanta at the old Rio Grande (where Buckhead Saloon is now)? Well we are bringing it back!!! same location same party!!! We have everything you guys can imagine. RSVP SECTIONS NOW!! This will not be your normal Sunday. We will sell out! Giveaways all night long!!! Hosted by @youknowbt on the ? ?